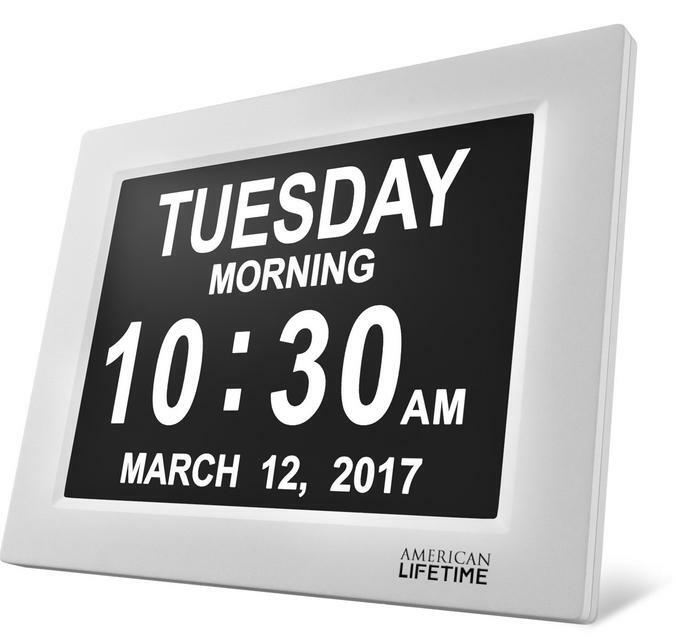 This unique 8" High-Resolution Digital Alarm Clock clearly spells out the time, period of the day, the day of the week, month and date in large, clear letters - with no confusing abbreviations. Designed to help people that deal with vision impairments, Alzheimer's, memory loss, and Dementia. Growing older shouldn’t mean losing touch! 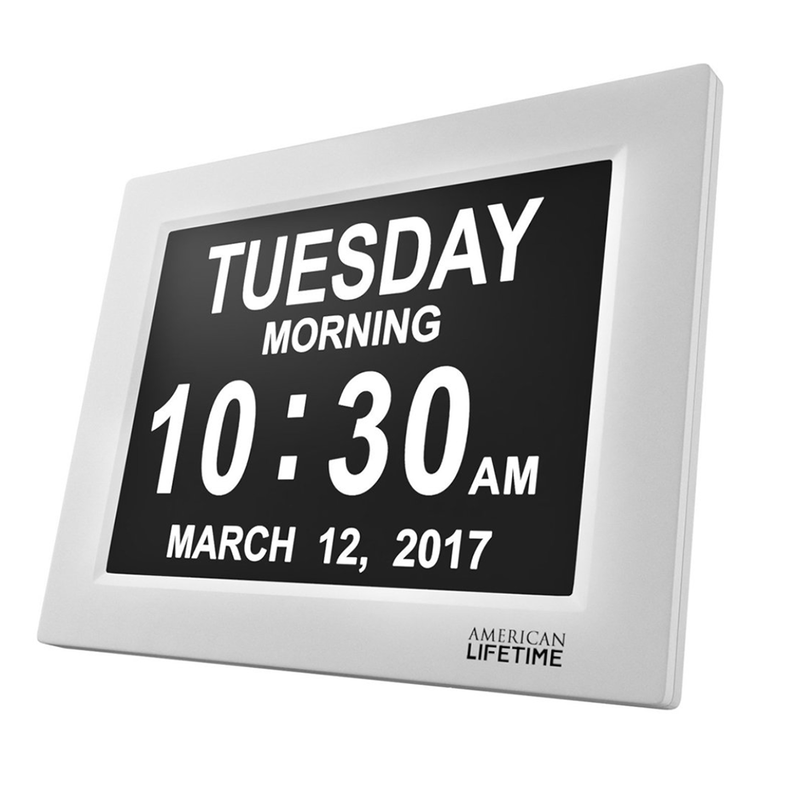 The Day Clock by American Lifetime is the only one of its kind to include 5 multi-function alarms, with the option to set reminders to take medications throughout the day. 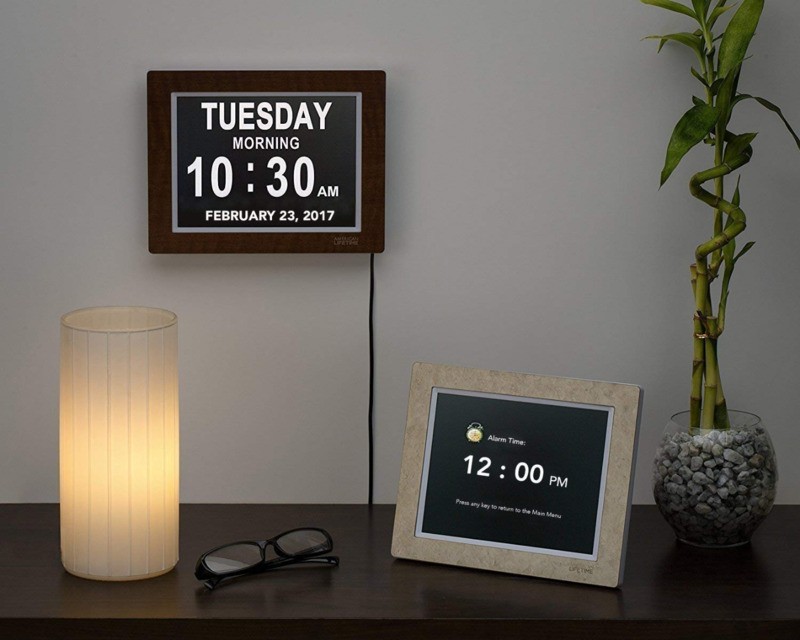 This Day Clock also has a battery backup in case of a power outage, in which case it will retain the correct time and date when the power returns. 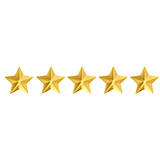 6+ Languages Including English, French, German, Dutch, Italian, Polish, Spanish & Welsh. 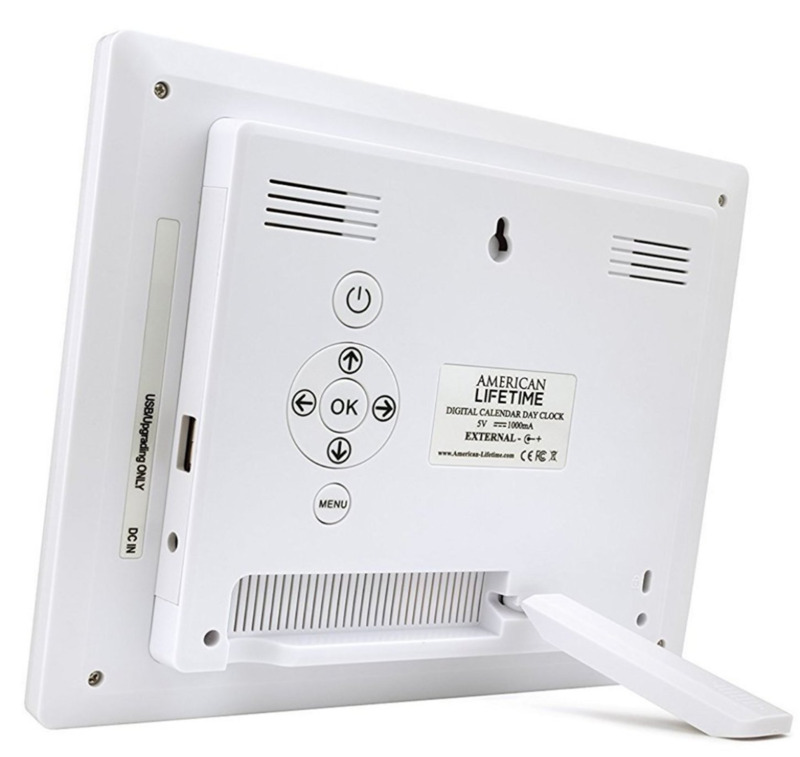 Choice of 4 Alarm Modes: Once, Every day, Weekdays only or Weekends only, Off. 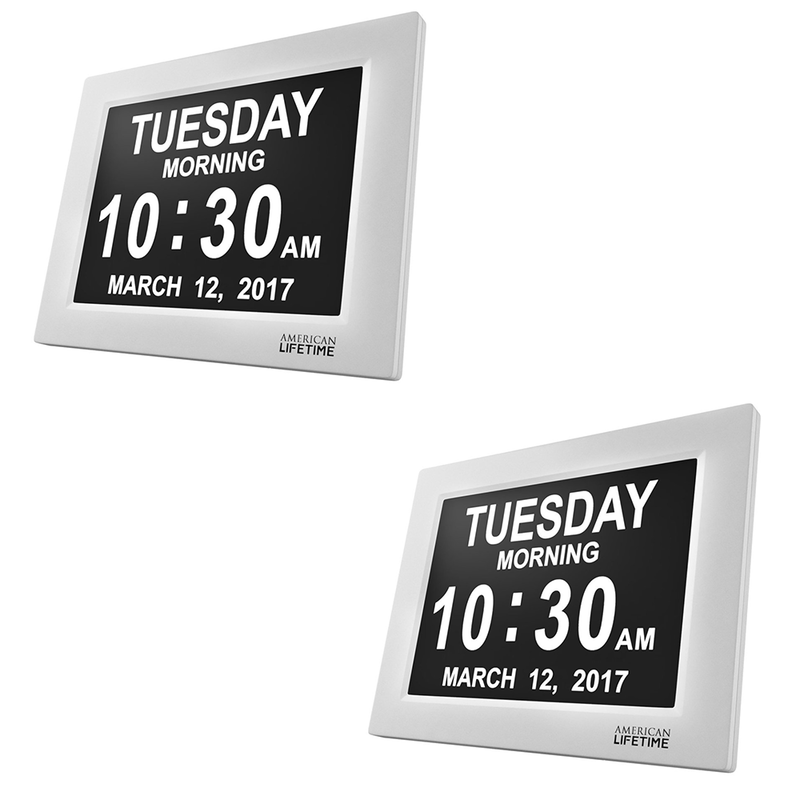 What do our customers have to say about the Day Clock? Exceeded expectations. This was a gift for a loved one experiencing beginnings of memory loss. The person absolutely loves it, and she is so relieved to be able to instantly know the day, date and time. She commented so positively on all of the features after having it for a day, and she especially liked being able to see the words "morning" "afternoon" "evening". From what she said, I would recommend getting a clock with ALL of the information that is displayed on this one. If you think about it, when a person wakes up from an afternoon nap, they may not remember if it is morning or afternoon. And in my experience, some people with memory loss no longer recognize the terms "AM" and "PM". Everyone can read it. Even the dog. I'm kidding! But if our labradoodle knew how to read, she'd be able to clearly make out the time. I purchased this clock for my aging aunt who moved in with our young family just this month. She has a host of medical issues that come with aging, including dementia. A month ago, you could ask her what the date was and she couldn't even tell you the year. Now, she's reminding me when she needs her insulin. Try the Day Clock out for 30 days and if you don't like it, you’ll get your money back! 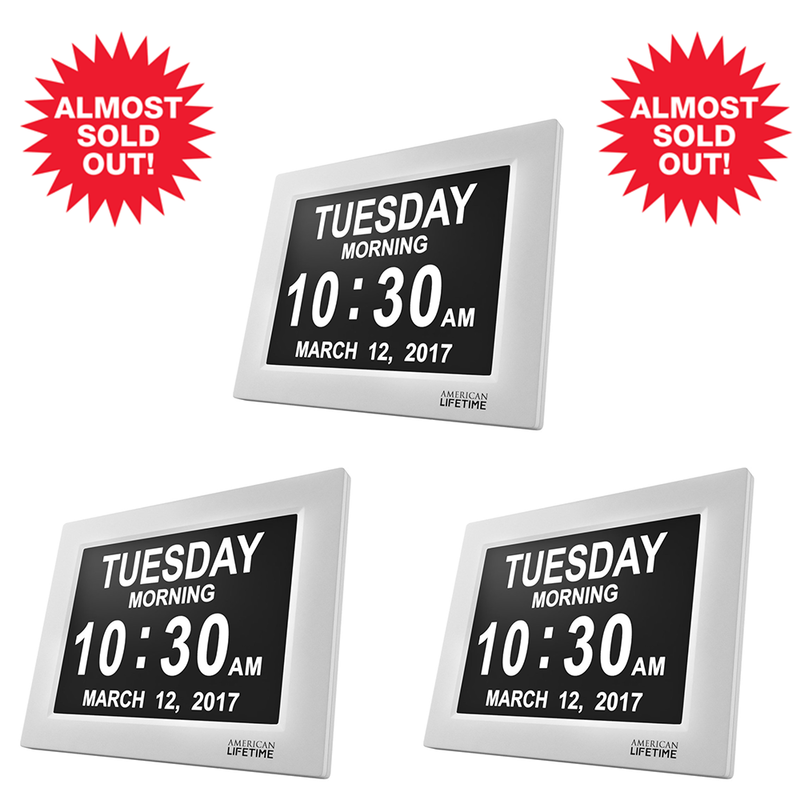 SAVE $10 on each clock!